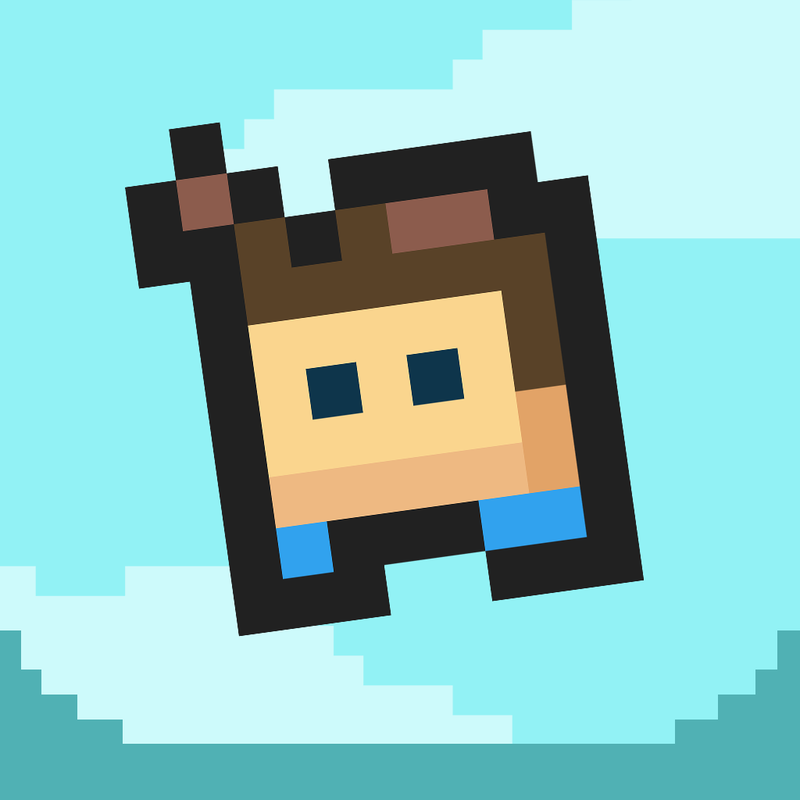 FFFFF2P (Free) by Elevate Entertainment is a tongue-in-cheek retro platformer that will keep you coming back for more. 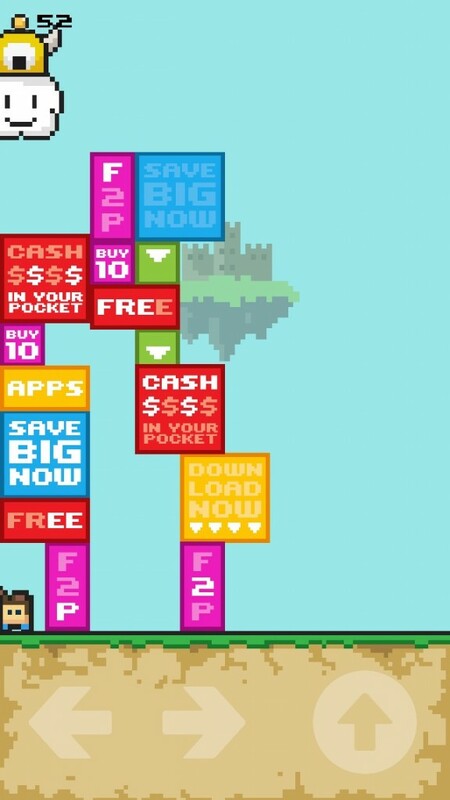 If you enjoy quick-fix arcade games like Super Pixelander and Super Crate Box, then FFFFF2P is right up your alley. Even though we always want an in-depth adventure when it comes to games, sometimes we just want a quick fix to pass the time. And you know what else I enjoy? When games aren’t afraid to show a sense of humor and take on something that is currently a hot topic. That’s exactly what you will find in FFFFF2P, which brings in a mix of classic platforming action (complete with a princess and all that) with a bit of a humorous, modern take on freemium. The graphics in FFFFF2P are fully in 8-bit graphics, and it’s quite glorious. If you grew up with the classic consoles, such as the NES, then you are going to feel right at home — it’s even a nice homage to the original Super Mario Bros. games. Despite the simple appearance, FFFFF2P is still detailed enough with a lush environment, and an ever-changing floating castle in the beautiful blue sky background. The falling ads are bright and vivid, and the characters are quirky. FFFFF2P has fluid, smooth animations, which are nice, considering the fact that the game is fairly fast-paced. There is also a whimsical chiptune soundtrack, which may bring a sense of nostalgia, and charming sound effects as you hop and crush ads. 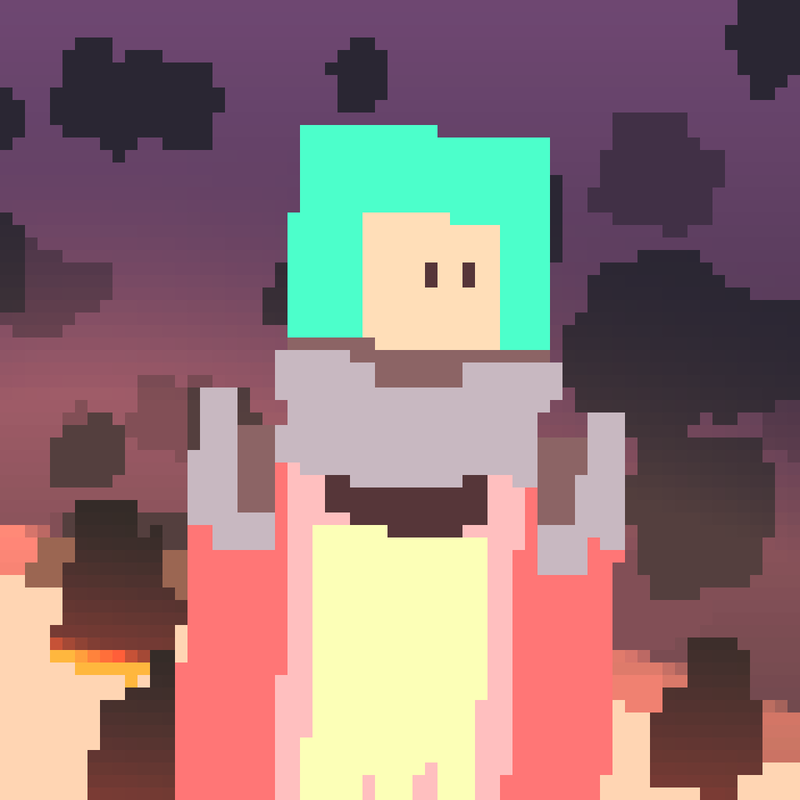 In FFFFF2P, the beloved Princess Pixel is kidnapped by the evil Ug, and it’s up to you to save her and restore peace. Of course, Ug demands a ransom for the princess, so you’re going to need to collect enough coins in order to free her. 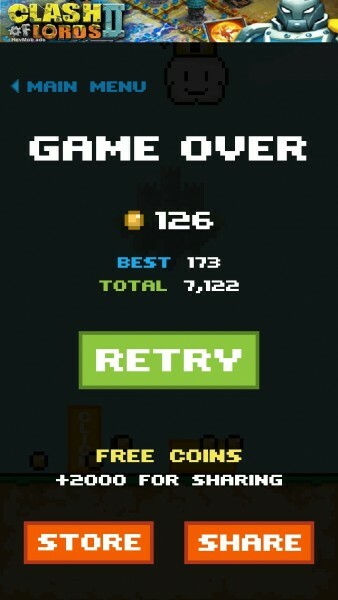 The game only has one game mode, and that’s basically to avoid and crush Ug’s falling ads for coins, lasting as long as you can before you get crushed or trapped. FFFFF2P plays entirely in portrait mode, which I found to have its own pros and cons. The pro is that you don’t need to rotate your device, but the controls feel a little cramped — I personally prefer to play platformer-like games in landscape mode, just because there is more space for the controls and my fingers don’t feel so confined. The controls are simple: three buttons in the bottom of the screen allow you to move left and right, as well as jump. You’ll need to be fast with the controls, though, because Ug will follow your movements and try to drop ads on top of you, so avoid them at all costs. 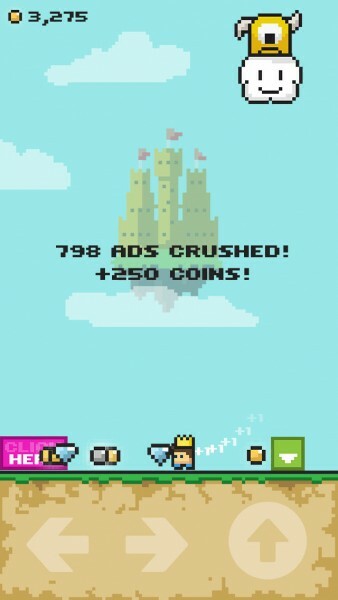 To get rid of the ads, jump on top of them to crush them and get coins. As you successfully avoid and close the ads, Ug will become more frustrated, and thus pick up speed in moving around and dropping those annoying ads. I mean, he really wants you to “CLICK HERE” and “SAVE BIG NOW,” right? Things will start off pretty slow and easy, but things will pick up fairly quickly, which makes the game pretty challenging (always a good thing). To help you out, you can spend the coins you collect in the Shop. Here, you can find power-up items that will be used in your next round. 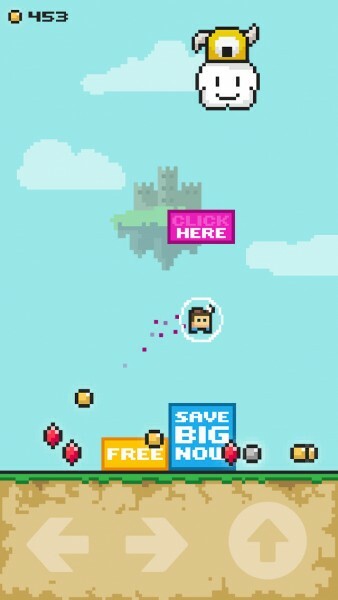 There are candies that can make you run faster and jump higher, bubbles that will take three hits for you before you get flattened, various gems that increase the amount of coins dropped from ads, shoes that give you the power to do a double jump, more treasure, and even castle upgrades. 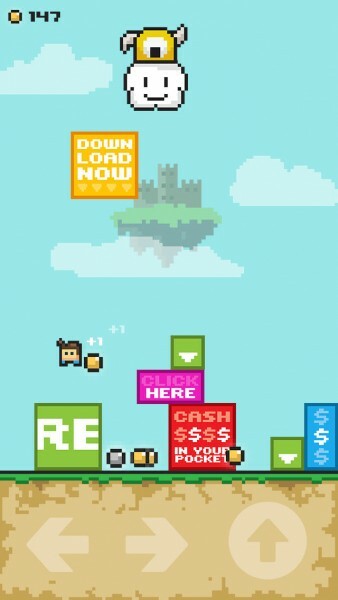 The castle upgrades will generate more coins every second, which can be quite useful. So you may be wondering — how exactly do you beat the game? 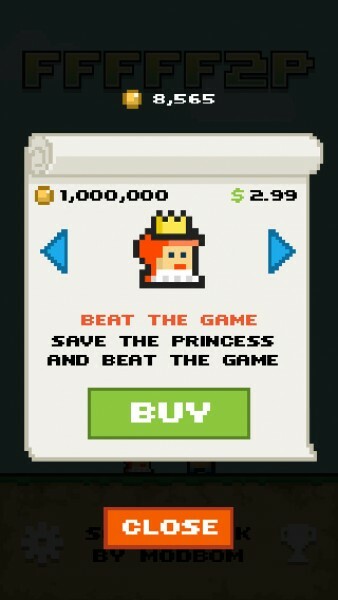 Well, Ug wants 1,000,000 coins in his ransom if you want to get Princess Pixel back. 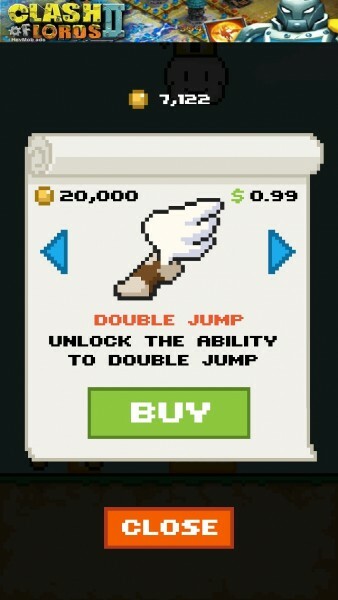 Once you have enough coins, just head over to the shop and purchase her (well, that sounds weird) to complete the game. Optionally, all of the items that you can purchase in the Shop can be bought with gold coins or real cash through in-app purchases, except for the candy (gold only) and unlimited candies (cash only). I like this method of obtaining items, because it gives players options — I wish more games had items that you can buy through the in-game currency as well, rather than only in-app purchase. With a game like this, it only makes sense to include Game Center integration, right? 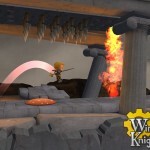 There are three leaderboards for you to compete on, as well as five achievements to obtain. Unfortunately, some of the achievements can only be acquired through in-app purchase items, such as the Sugar High, which is when you achieve a permanent sugar rush. I’m thoroughly enjoying FFFFF2P, as it has simple gameplay that is quite challenging. The visuals are also delightful, and the sounds and music are fun to listen to. 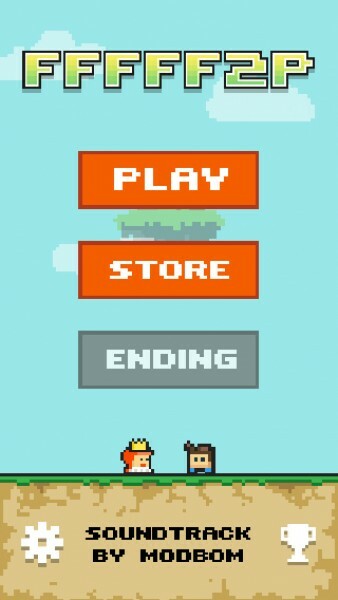 The only thing I had a few issues with were the ads (since it’s a free game), because the “X” to close them out were within the ad itself, so you can accidentally open the ad instead of closing it out if your tap is off. I also had some crashes and glitches with the game when the ad blocks piled up and I was stuck, and sometimes the game would open an ad after this happened, booting me from the game and into the App Store. This was quite jarring, and I hope that the developer fixes this up in the future. Still, the game is playable — these glitches did not always appear. 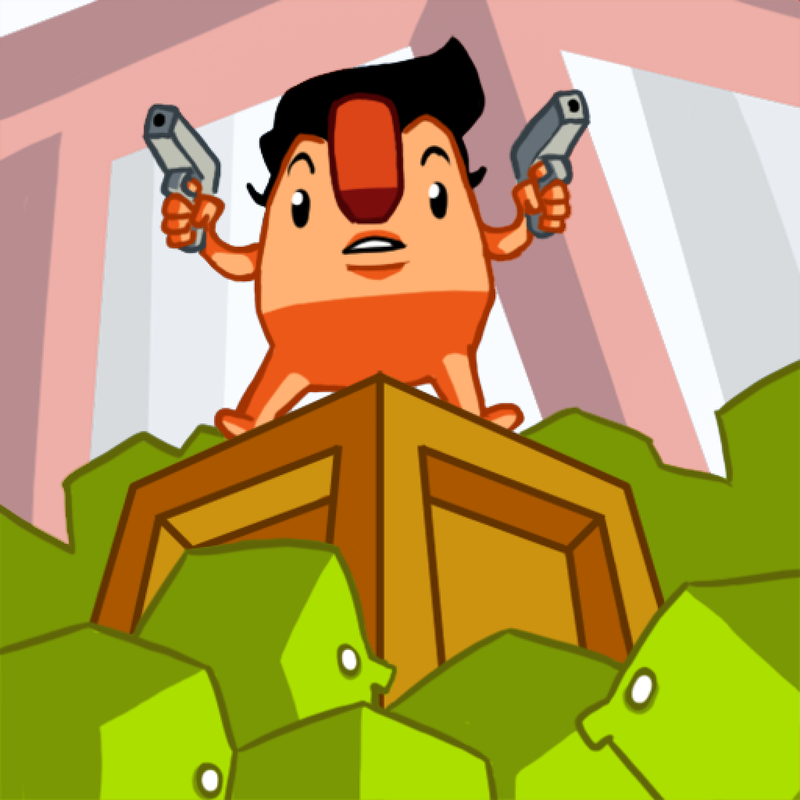 If you are in the mood for a humorous, tongue-in-cheek arcade platformer game, then I recommend checking out FFFFF2P for yourself. 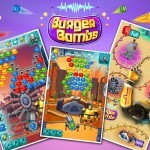 It’s available on the App Store as a universal download for free with in-app purchases.